community to take part in the survey. 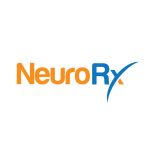 said Robert Besthof, Chief Commercial & Patient Officer at NeuroRx. depressive disorder, can trigger thoughts of suicide (suicide ideation). and Behavior (ASIB) in bipolar depression a uniquely lethal disease. for Suicide Prevention (AFSP) and the World Health Organization (WHO). clinical study of NRX-101 in a few months.